The dining standard at Mt. Baker Care Center is not typical of nursing homes, but neither is anything else we do! One small bite and your perspective of nursing home food will forever be altered. We take great pride in the food that we prepare and serve. Using the freshest ingredients and locally-grown produce, nearly all dishes that reach our residents are made from scratch. With a professionally trained baker on staff, all our desserts, breads, and muffins are made in-house as well. Dishes are nutritious, well-balanced, and delicious with every detail attended to with gracious and courteous attention. Mt. Baker Care Center collaborates with a seasoned and professional dietitian that helps our dietary team accommodate any food restrictions you may have due to diet, allergy, religious, or personal preference. We’re happy to work with you to ensure you’re enjoying the best we can offer your taste buds! 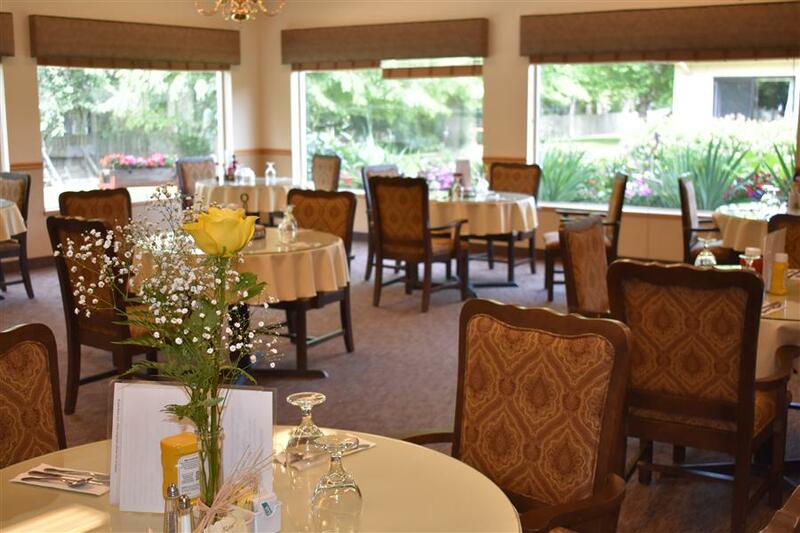 Our meals are served at regularly scheduled times in the social dining room. For those who prefer more private dining options, meals can also be served to you in your room. If you wish to have a guest at meal time, please just let the kitchen staff know one hour prior to service (along with the number of visitors) and we’ll be happy to provide additional meals for a nominal fee. We look forward to feeding you!